On May 21st, Playscape Recordings will release Curiouser & Curiouser, (PSR #120118), featuring veteran pianist/composer Peter Madsen. 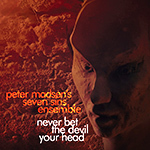 Curiouser & Curiouser is veteran pianist/composer Peter Madsen's tenth release as a leader on the Playscape Recordings label. This release is Madsen's first CD project with his recently conceived jazz quartet - The Storytellers - a splinter group of musicians originally from Madsen’s Collective of Improvising Artists (CIA), featuring Herbert Walser on trumpet, horn and electronics, Martin Grabher on drums and percussion and Herwig Hammerl on double bass. "Since 1865 when Lewis Carroll introduced Alice and the crazy anthropomorphic characters of Wonderland to the world, people of all ages have marveled in joy with its sweet nonsense and twisted logic," writes Madsen in his liner notes. "Since childhood I too have fallen in love with Alice as she fell down the rabbit hole to a fantasy world full of dream-like characters and events that often made no sense at all! As Alice traveled through Wonderland, she often commented to herself that everything was getting 'curiouser and curiouser' so I decided that this would be a fitting title for my Alice in Wonderland CD – Curiouser & Curiouser." "As I love books, (and even dreamed of becoming a librarian and having my own library since I was a kid) I'm often pulled in the direction of great books for inspiration," writes Madsen. "My first project for The Storytellers came to me in a dream that told me I should write songs inspired by Alice in Wonderland, one of my favorites. So I decided to compose songs for characters in the book, painting musical pictures of each, using beautiful, funny and sometimes bizarre sounds with complicated harmony, melodies that soar in all directions, a bit of electronics and even some spoken words." 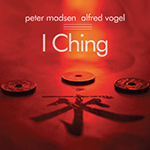 Peter Madsen's long career as a pianist/composer spans 50+ years, comprising more than 600 compositions and 125 recordings in many diverse styles. Madsen has also appeared on 16 other Playscape releases under the leadership of such longtime label-mates as Michael Musillami and Mario Pavone as well as the late Thomas Chapin.